I forgot to say congratulations for your first year of blogging. I love quinces and your dish sounds delicious. Ivy, thank you so very much for stopping by and commenting on my blog. I'm so glad to have discovered your blog! I love your blog. Usually I call my mom to have recipes, but I'll for sure try some of yours. 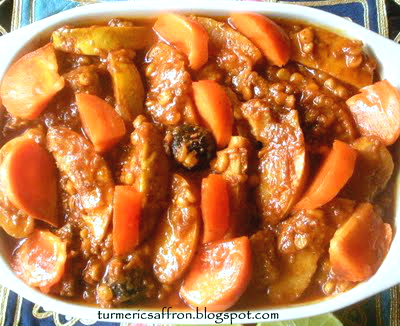 I like quinces, last week I cooked "tas kabab". If you know it, maybe you can add the recipe. This dish looks so delicious! 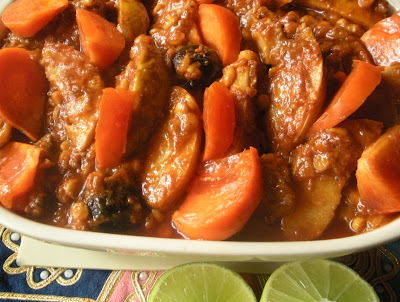 Of course all the Persian stews are yummy, so I can't wait to try that one. I have never made a dish with quinces before. In Lebanon, we usually only make jam! I love your blog! Thanks for these cool posts. It would be great if you could suggest which veggies to use in the US for ghorme zabzi, not all the ingredients are available. tasteofbeirut, Thank you,we also make quince jam, it tastes fantastic and looks gorgeous too! hope you do try this dish. Maryam, That is so kind of you to say. Thank you. 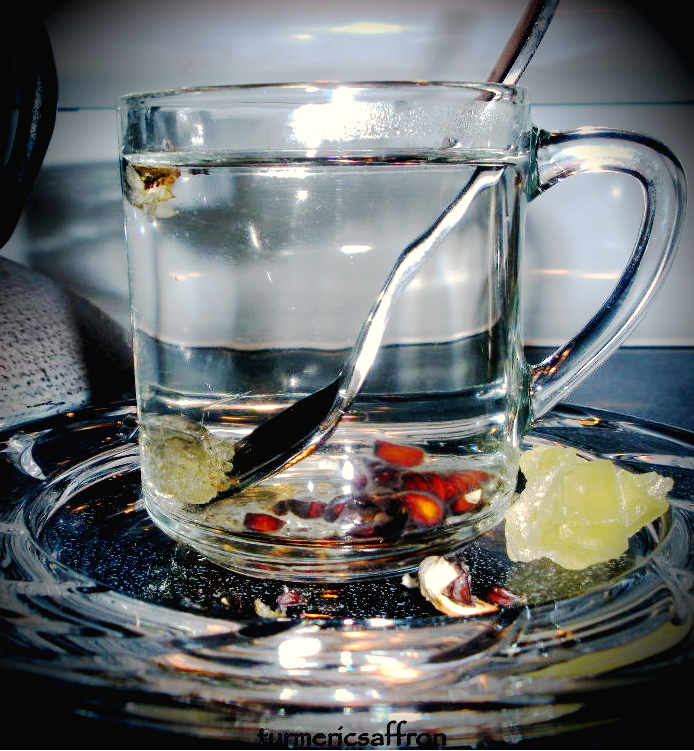 I've linked to you at The Silk Road Gourmet (http://silkroadgourmet.com) and invite you to be a guest blogger at some point - perhaps with stories of a Persian or Iranian holiday (like Noruz . . .) and the food shared - or some other theme of your choice. The quince is a much underappreciated food in the US and is enjoyed all over Western and Central Asia. Laura, thank you for the offer and the link. I visited your wonderful blog and left a comment too. You are right! It's not easy to find fresh fenugreek (shanbalileh)and(tareh)here. I use dried shanbalileh which I buy from Iranian grocery stores. Other than that I use Italian flat parsley,and instead of "tareh" I use (piazcheh) green parts) only. I usually add a bunch of cilantro (geshniz) too. Some people like to add spinach. 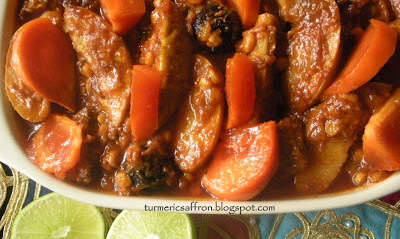 I have never had Khoreshteh Beh, but I can just imagine how delicious it must be!! i love khoreshteh beh, my Parsi friend in Rome used to make it-she grew quince in her country home in tuscany. your dish looks beautiful, azita. Shayma, thank you. I love this dish too. Growing quince in your country home somewhere in Tuscany, it sounds like a very pleasant dream to me! It is delicious and leftovers taste even better! Try it. Thanks. 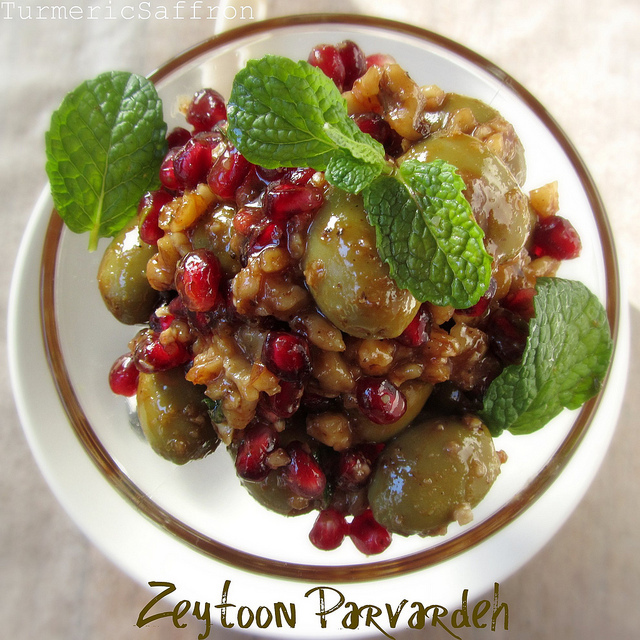 Dear Azita, I made this dish, (we have similar recipe in Türkish cuisine)but I tried your version. It was wonderful. Thank you. This is my favorite recipe. Soooooooooooo good. Love it. Thank you. hi, would you cover the casserole dish when you put it in the oven or leave it open? Hi, you may cover it loosely with foil.